If you are like most people, you wish you could travel internationally more often, but it is too expensive. Ot maybe you are an international student who craves food or fashion products from home. Backpack, a recent tech startup, goes a long way towards addressing both of these issues. If you’re studying abroad or taking a vacation to South America, for example, you could earn hundreds of dollars to offset your travel costs just by carrying a few Macbooks in your luggage. Alternately, Backpack’s network allows you to get a hold of whatever you want from anywhere in the world, as well as enable less expensive international travel. Possibly you want some authentic ancient artifacts from Argentina to act as props in a film, but Amazon doesn’t stock it. Backpack’s got you covered. Maybe you have a great desire for some microbrew from your hometown in China? You can get it at the global marketplace Backpack creates. Or you need the less expensive international version of a textbook and cannot find it in the US (for those who don’t know, most textbooks have an “international” paperback version that is much cheaper). Backpack can get you that, too. It is part of Backpack’s mission to create a tight-knit community that can help people all over the world enjoy all of the products they love for less money, not to mention helping people save on international flights. 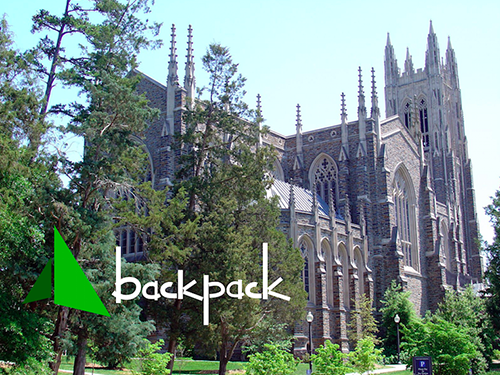 Because of this, the communal and cooperative spirit of the Duke student body lends itself perfectly to participating in the Backpack family.